I am music, most ancient of the arts. I am more than ancient; I am eternal. Even before life began upon this earth, I was here - in the winds and the waves. When the first trees and flowers and grasses appeared, I was among them. And when Man came, I at once became the most delicate, most subtle and most powerful medium for expression of Man''s emotions. When men were little better than beasts, I influenced them for their goods. In all ages I have inspired men with hope, kindled their love, given a voice to their joys, cheered them on to valorous deeds, and soothed them in times of despair. I have played a great part in the drama of life, whose end and purpose is the complete perfection of Man''s nature. Through my influence, human nature has been uplifted, sweetened and refined. With the aid of men, I have become a Fine Art. I have a myriad of voices and instruments. I am in the hearts of all men and on their tongues, in all lands among all peoples; the ignorant and the unlettered know me, not less the rich and learned. For I speak to all men in a language that all understand. Even the deaf hear me, if they but listen to the voices of their own souls. I am the food of love. I have taught men gentleness and peace; and I have led them towards heroic deeds. I comfort the lonely, and I harmonize the discord of crowds. I am a necessary luxury to all men. 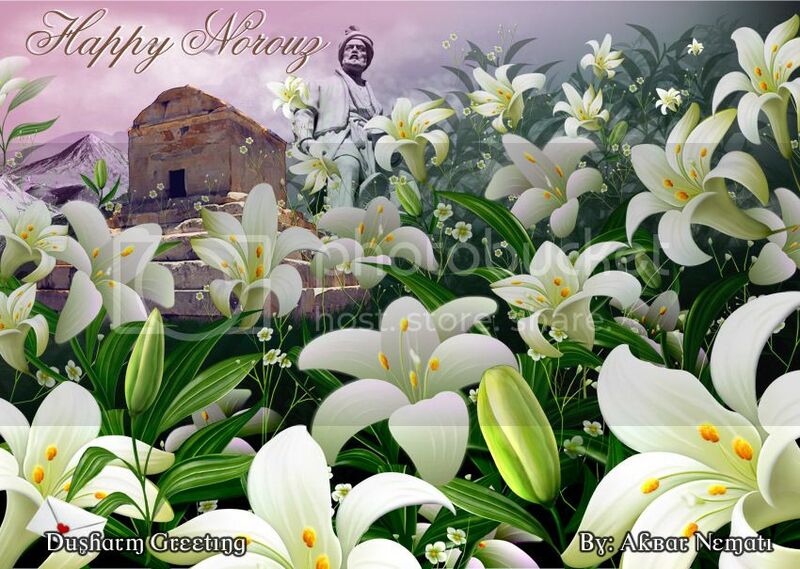 Wish that Nowruz brings the blessings of happiness, prosperity and love ..... Judy jan. Please LOGIN or JOIN in order to post any entry.